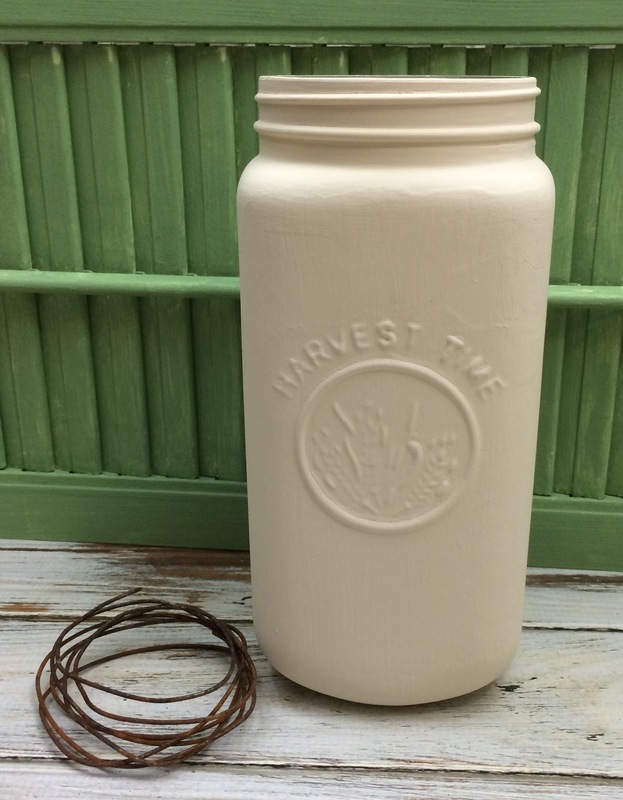 When I ran across this jar with “Harvest Time” on the front at a yard sale for 50 cents I new exactly what to make. 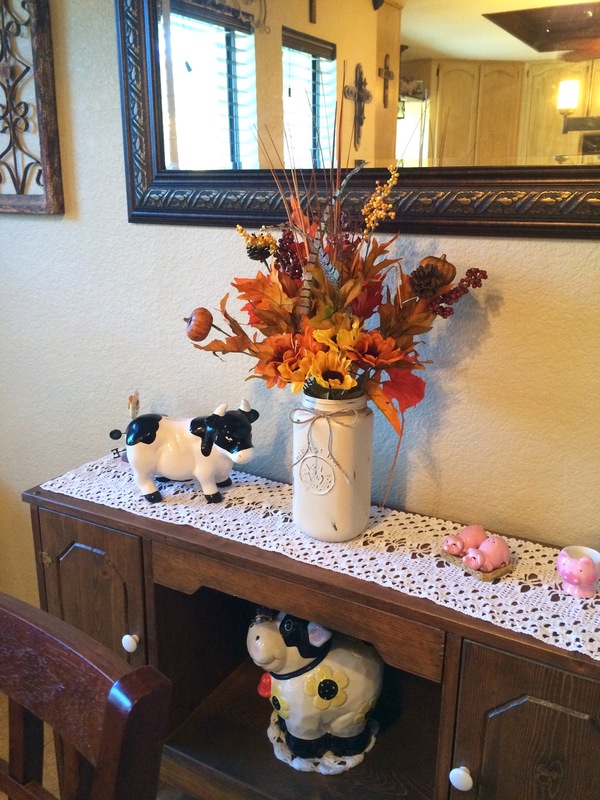 A “Harvest Time Mason Jar Vase” to hold the flowers my hubby buys everything Thanksgiving. First off I gave to a good cleaning. Once dry I gave it two coats of chalk paint, letting dry throughly between coats. 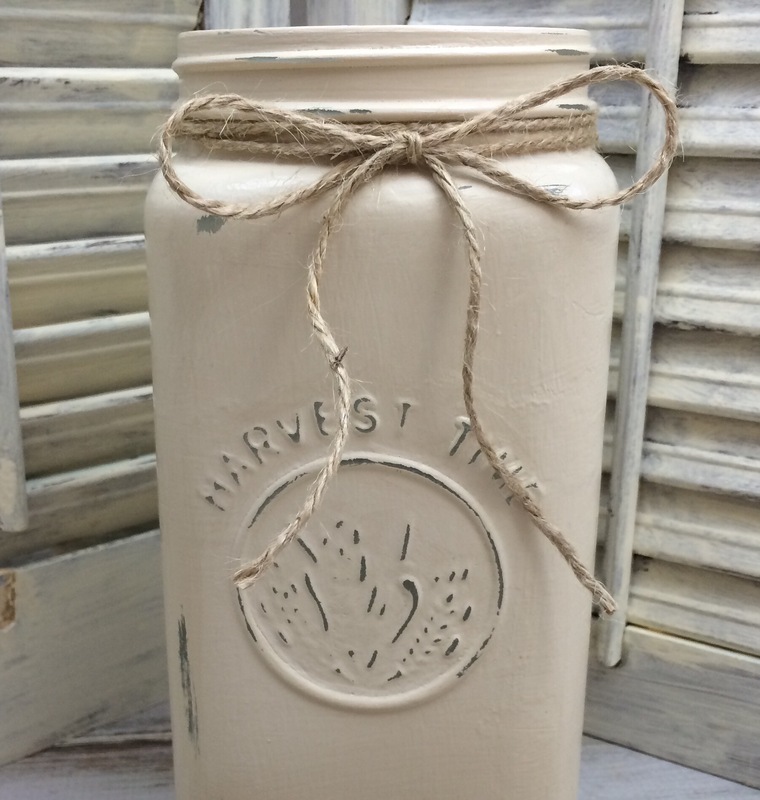 Then using some sandpaper I sanded my fall Mason jar vase to give it a worn effect. 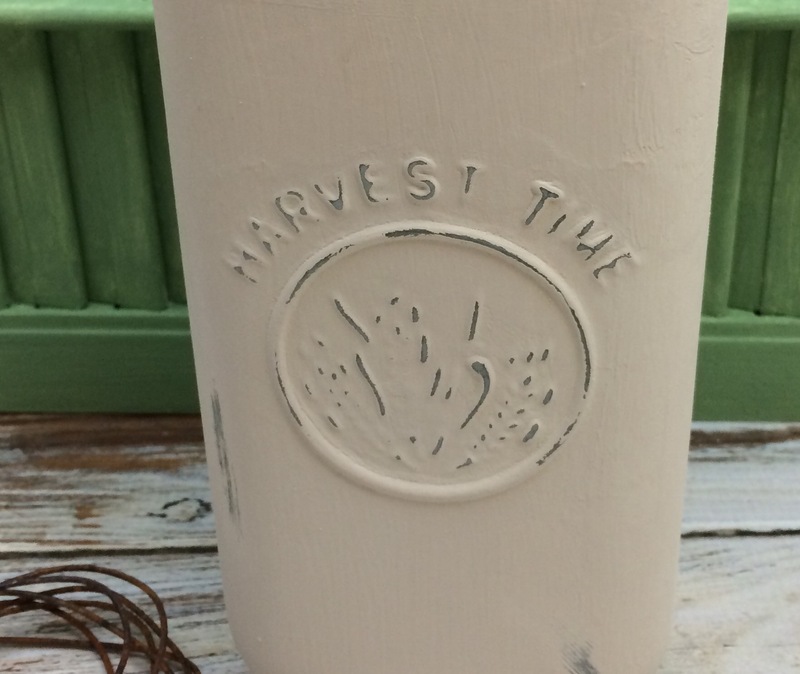 As you can see the sanding brought the Harvest Time out. 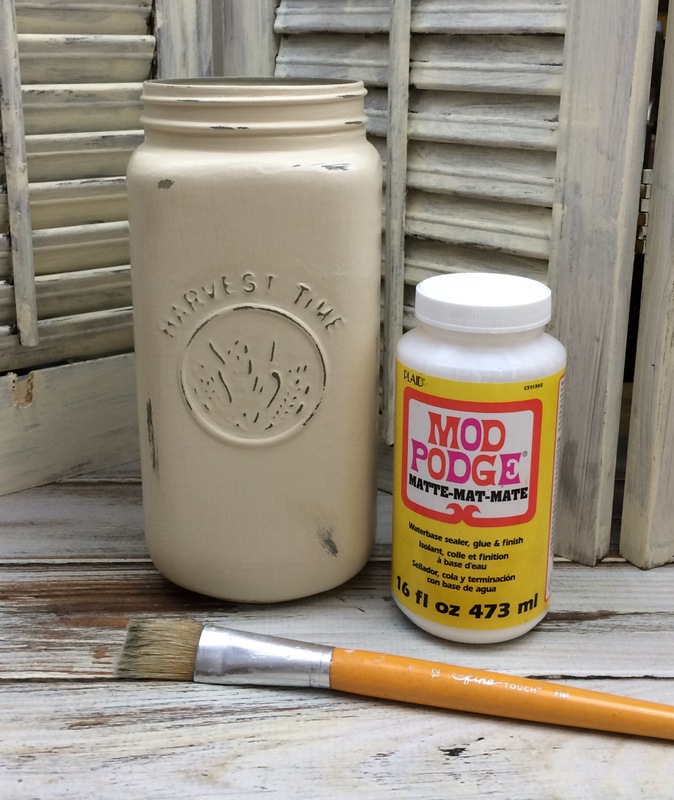 Now it’s time to give it a coat of Mod Podge for protection. 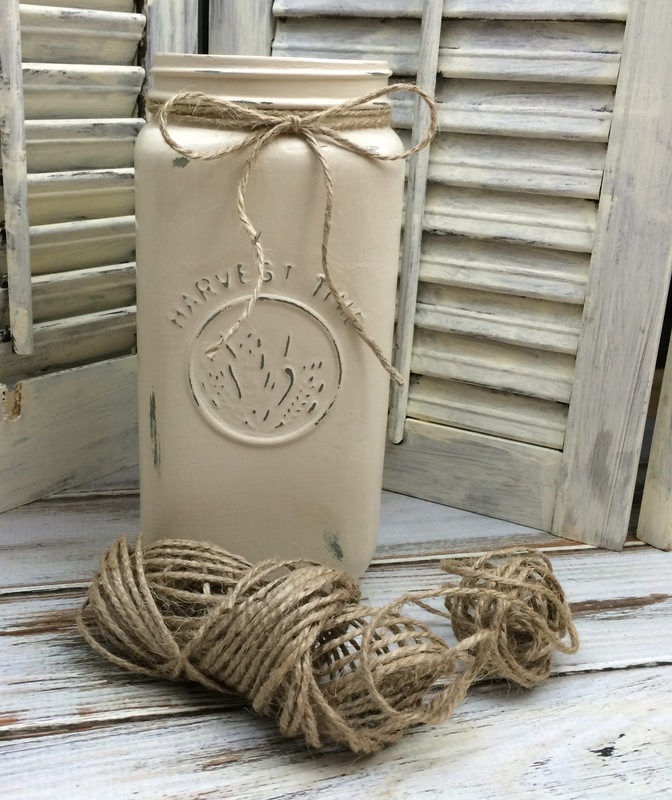 Have I said how much I love Mod Podge? Great stuff!!! 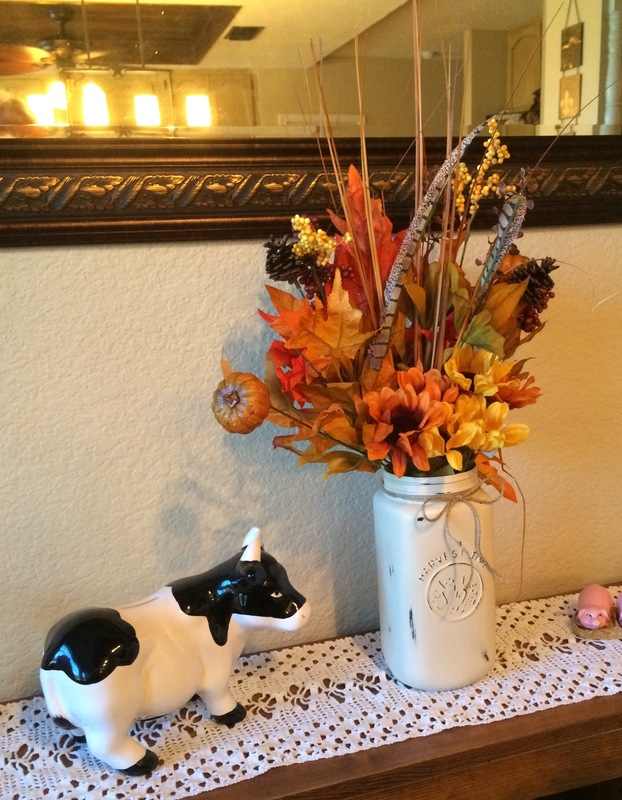 Now I added a piece of twine around the neck of my Harvest Time Mason Jar Vase. That’s it! Very simple fit project. 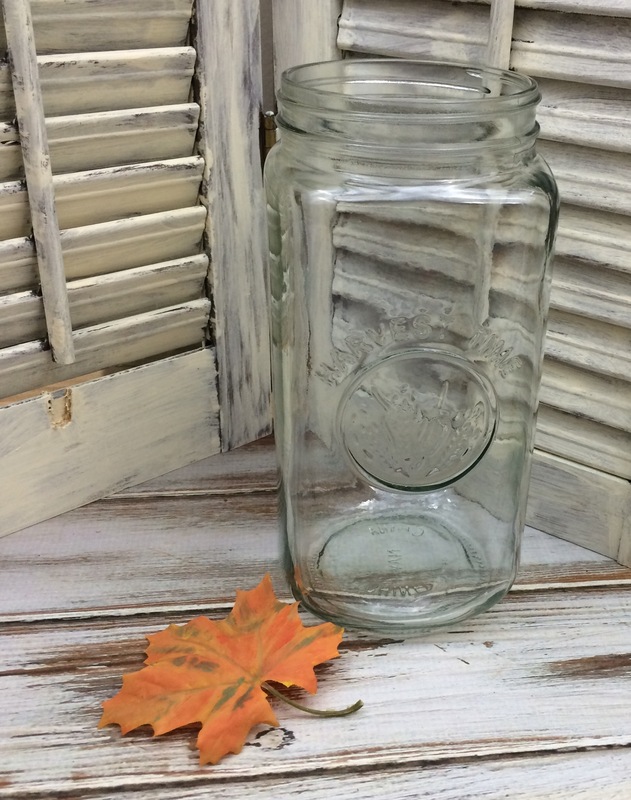 Are you addicted to Mason jar crafts as I am?